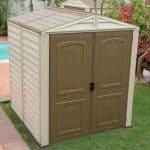 A stylish shed that combines the best of both worlds with the durability and weather resistance of a plastic shed and the look of a painted wooden shed. In muted colours, beiges and browns, its natural looking appearance will blend into your garden spectacularly. The Keter shed has strong plastic floor panels which mean that your ground area will always remain dry. Coupled with an excellent ventilation system preventing pests from entering and allowing plenty of air circulation therefore making it a comfortable space to enter it is a great storage solution. This particular shed has wide double doors allowing easy access to the gardening equipment you need, a skylight for plenty of light inside and a pretty feature window making this a very attractive outbuilding yet remaining practical and functional. It is completely weather resistant and maintenance free and easy to assemble – a wise choice among gardeners. 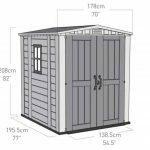 With an internal floor area of 6x6ft this shed will adequately suit all your gardening accessories and tools as well as a couple of larger items such as a lawnmower or similar. Adding freestanding shelving will increase the storage capacity and provide an organised and neat environment for your items. The shed comes complete with a locking hasp allowing you to keep your items secure when not in use. 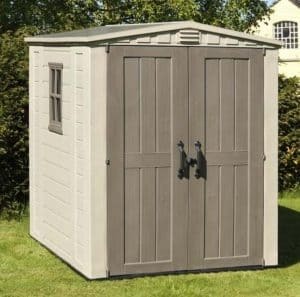 Choosing the right shed for your garden can be a confusing process, especially with so many sheds to choose from, ranging from traditional wooden sheds to plastic and metal sheds. 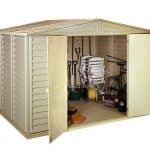 It all comes down to the type of shed that will meet your storage requirements from both a space and price perspective. Here at whatshed.co.uk we identify and discuss features that you may be interested in finding out more about so you can make an informed decision during the purchase process. Exterior: The exterior is constructed from a strong and durable, UV resistant plastic. Attractively designed in muted beige and brown colours, this stylish greenhouse would make a wonderful storage feature in any garden. 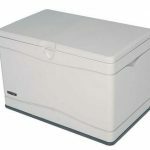 Weather resistant and complete with adequate ventilation, your items will be kept dry and free from mould, rust and rot. Interior: The 6×6 floor area is suitable for the smaller family or simply those who have less to store. Additional storage can of course be created by adding freestanding shelving to take advantage of the shed’s 6ft10 height. The floor is a strong resin floor that is designed to hold those heavier items such as heavy tools or lawnmowers. Security: The shed comes complete with a locking hasp meaning all that is required lock your shed and keep your items completely secure is a padlock which can be purchased separately at a modest price. 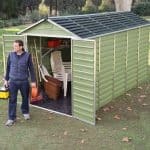 The keter Plastic Gemini Shed: ow easy to build? The Keter Plastic Gemini Shed is easy to assemble, even for complete DIY novices. With a full step by step instruction guide and detailed, easy-to-follow diagrams, your new shed will be built and ready to use within a day. It is recommended that two people work together on assembling the shed due to the size and manageability of parts. Only a basic tool kit is required to build your new shed as all the parts, fixtures and fittings will be provided within your package and delivered straight to your door. 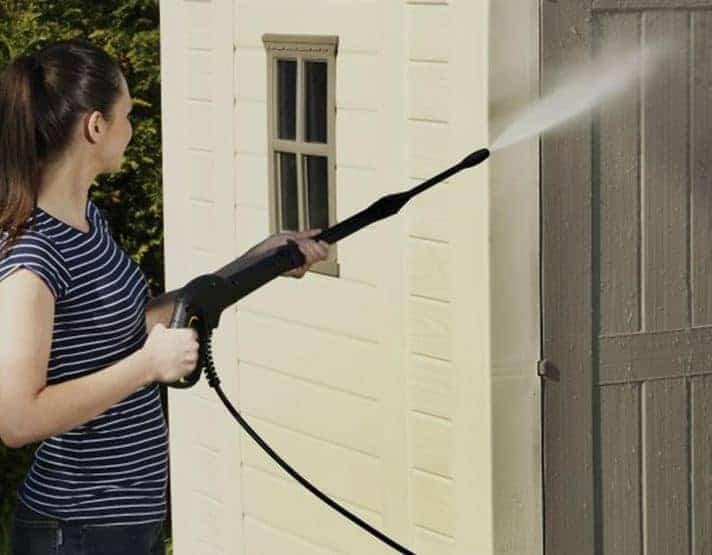 The keter Plastic Gemini Shed: What is the overall quality like? Keter’s range of plastic garden sheds caters for a range of needs, with different sizes and prices points available, enabling everyone to find a shed that suits their lifestyle and storage requirements. The strong plastic used for construction is hard wearing, long lasting, durable and most important of all, weather resistant. The plastic structure is reinforced with a strong metal frame to ensure that your shed will still be standing in your garden for many years to come. 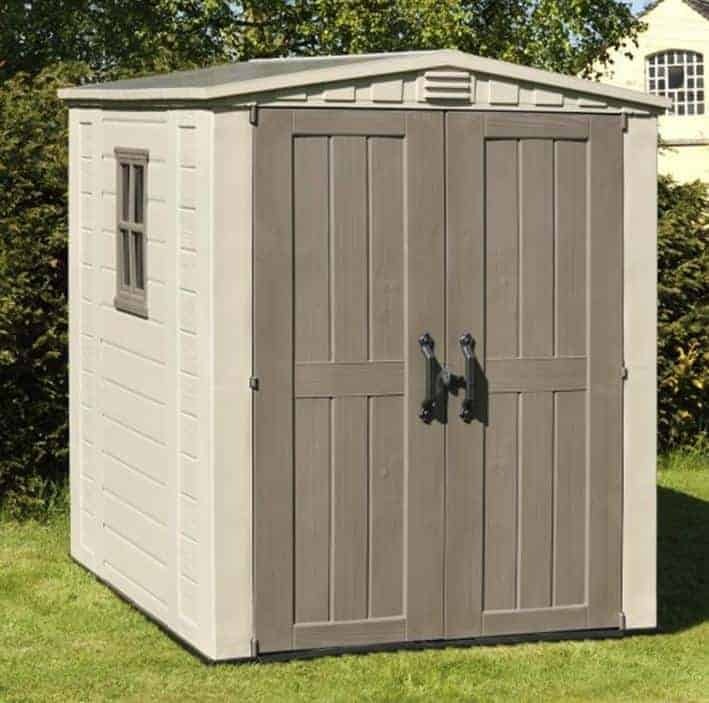 The Keter Gemini shed will protect your items inside, keeping them dry and protected against the elements including mould, damp and rot. With strong resin flooring, holding those heavier items such as lawnmowers, large garden tools and similar items isn’t a problem. 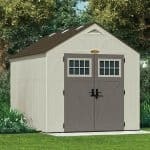 The exterior of this model is aesthetically pleasing and is completely maintenance free, meaning once your shed is assembled you won’t have to think about it again. 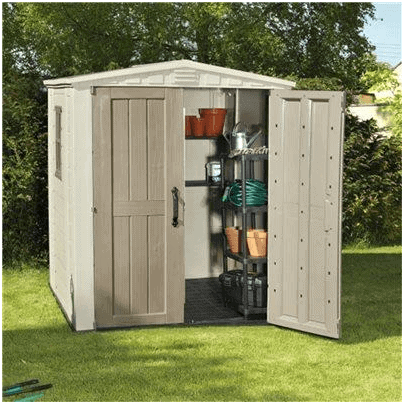 The Keter Gemini shed could be an invaluable storage solution for garden and outdoor equipment in a small-medium sized garden. 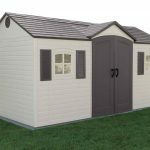 If you are looking for a maintenance free building that will protect your items all year round, whatever the weather then this could be just the shed you are looking for. 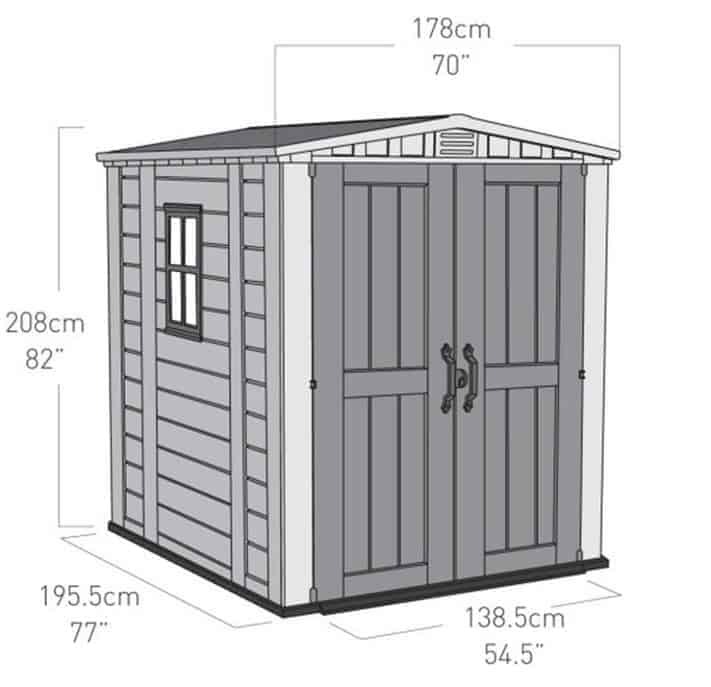 On the higher end of the range for sheds of this size, the Keter Gemini shed is a shed that will take care of itself and your items for many years to come, meaning all you have to do is sit back and enjoy your garden. This is a great product and I use it for many things but it is very expensive. Thanks for your thoughts. I guess if you are looking at having something that will stay in good condition for many years to come its not that bad. The price over 20 years of use works out at a little over £21 a year! !